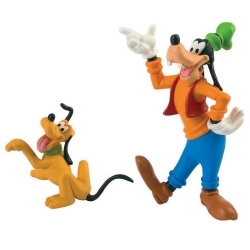 Disney® There are 38 products. Resin statue sculpted by Leblon-Delienne 100% made in france. Scrooge McDuck. 27cm. 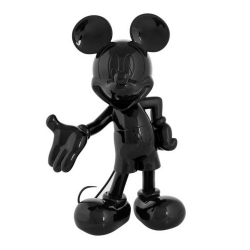 Mickey Mouse sculpted by Leblon-Delienne and Bunka. Vinyl statue accompanied by his certificate. Edition limited to 250 copies. 100% made in france. 40cm. 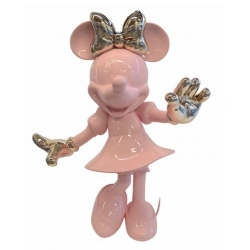 Minnie Mouse sculpted by Leblon-Delienne. Hand painted resin statue accompanied by his certificate. 100% made in france. Life-Size and two-color version: an elegant mix of pink lacquered color and gold chrome-colored details. 147cm. 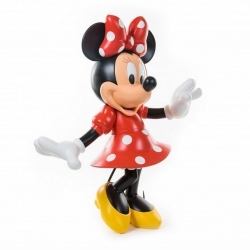 Minnie Mouse sculpted by Leblon-Delienne. Hand painted resin statue accompanied by his certificate. 100% made in france. Life-Size and two-color version: an elegant mix of white lacquered color and silver chrome-colored details. 147cm. 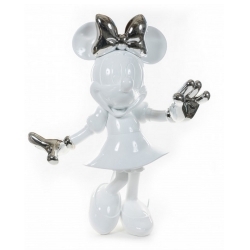 Minnie Mouse sculpted by Leblon-Delienne. Hand painted resin statue accompanied by his certificate. 100% made in france. Life-Size version, 147cm. Resine statue sculpted by Leblon-Delienne 100% made in france. 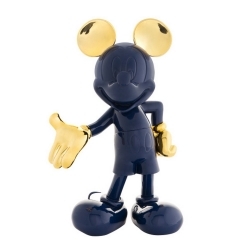 Inspired by the comics first issued in 1939, Mickey Mouse Life-Size, two-color version: an elegant mix of blue lacquered color and gold chrome-colored details. Edition limited to 1928 copies. Height: 140cm. 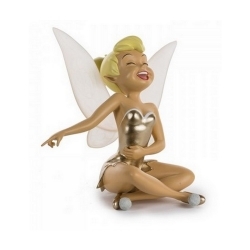 Resine statue sculpted by Leblon-Delienne 100% made in france. 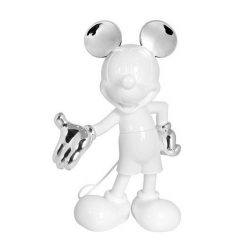 Inspired by the comics first issued in 1939, Mickey Mouse Life-Size, two-color version: an elegant mix of white lacquered color and silver chrome-colored details. Edition limited to 1928 copies. Height: 140cm. Resine statue sculpted by Leblon-Delienne 100% made in france. 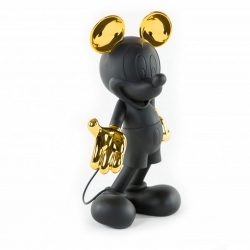 Inspired by the comics first issued in 1939, Mickey Mouse Life-Size, two-color version: an elegant mix of black lacquered color and gold chrome-colored details. Edition limited to 1928 copies. Height: 140cm. Resin statue sculpted by Leblon-Delienne. Hand painted resin statue, 100% made in france. 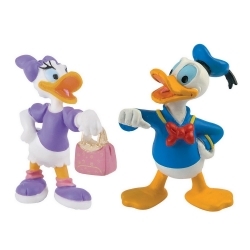 The most famous quick-temper duck has his own figurine! Design & Conception by our artists in our workshop in France. Edition limited to 125 copies. Resin statue, Life-Size version: 165cm. Resin Life-Size statue sculpted by Leblon-Delienne 100% made in france. 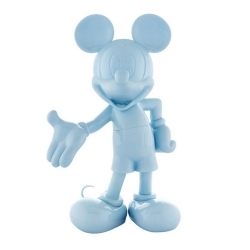 Inspired by the comics first issued in 1939, Mickey Mouse Welcome. Lacquered version. Height: 140cm. Limited edition to 1928 copies with certificate of authenticity. Polymer statue sculpted by Leblon-Delienne 100% made in france. Inspired by the comics first issued in 1939, Mickey Mouse Welcome, two-color version: an elegant mix of blue lacquered color and gold chrome-colored details. Height: 30cm. Resin statue sculpted by Leblon-Delienne 100% made in france. 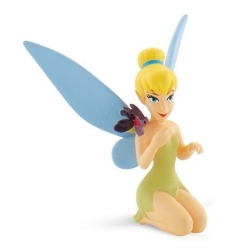 Peter Pan Disney: Tinker Bell. Height: 18cm. Polymer statue sculpted by Leblon-Delienne 100% made in france. 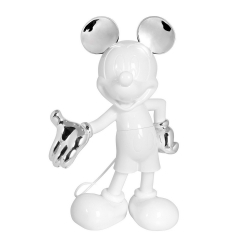 Inspired by the comics first issued in 1939, Mickey Mouse Welcome, two-color version: an elegant mix of white lacquered color and silver chrome-colored details. Height: 30cm. Polymer statue sculpted by Leblon-Delienne 100% made in france. 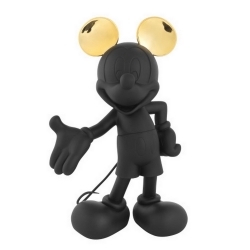 Inspired by the comics first issued in 1939, Mickey Mouse Welcome, two-color version: an elegant mix of black lacquered color and gold chrome-colored details. Height: 30cm. Polymer statue sculpted by Leblon-Delienne 100% made in france. 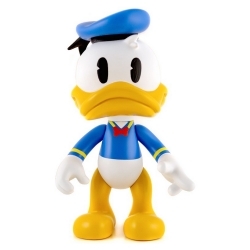 Inspired by the comics first issued in 1939, Donald Duck excited. Chromed version. Height: 36,5cm. Polymer statue sculpted by Leblon-Delienne 100% made in france. 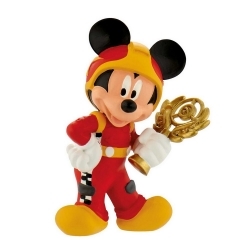 Inspired by the comics first issued in 1939, Mickey Mouse Welcome. Soft Touch version. Height: 30cm. Polymer statue sculpted by Leblon-Delienne 100% made in france. 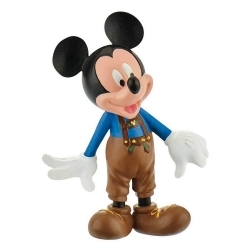 Inspired by the comics first issued in 1939, Mickey Mouse Welcome. 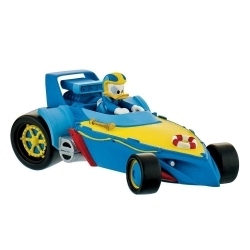 Lacquered version. Height: 30cm. Polymer statue sculpted by Leblon-Delienne 100% made in france. 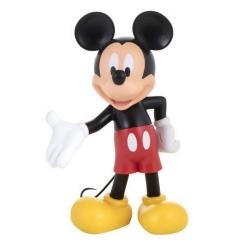 Inspired by the comics first issued in 1939, Mickey Mouse Welcome. Chromed version. Height: 30cm. 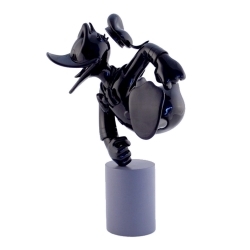 Mickey Mouse sculpted by Leblon-Delienne. Chromed version Polychrome hand painted resin statue accompanied by his certificate. 100% made in france. Life-Size version, 140cm. 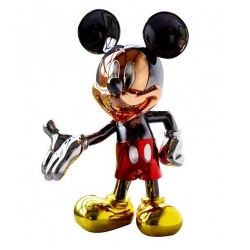 Mickey Mouse sculpted by Leblon-Delienne. Polychrome hand painted resin statue accompanied by his certificate. 100% made in france. Life-Size version, 140cm. 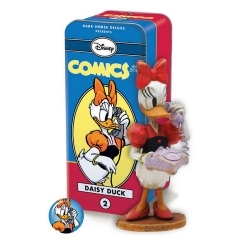 The most famous quick-temper Duck has his own statue ! 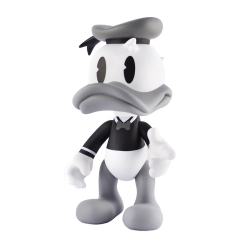 Donald Duck is available in Colour. Design & Conception by our artists in our workshop in France. Vinyl statue, 22cm. Resin statue sculpted by Leblon-Delienne. Hand painted resin statue, 100% made in france. 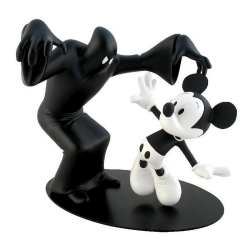 Inspired by the comics first issued in 1939, Mickey is surprised by The Phantom Blot. 21cm. Limited edition and numbered 999 copies with certificate of authenticity. Black and White version. Polymer statue sculpted by Leblon-Delienne 100% made in france. 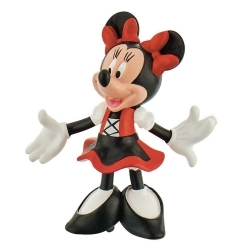 Inspired by the comics first issued in 1939, Mickey Mouse Welcome. 30cm. Resin statue sculpted by Leblon-Delienne. Hand painted resin statue, 100% made in france. 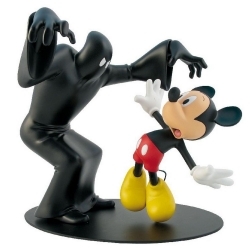 Inspired by the comics first issued in 1939, Mickey is surprised by The Phantom Blot. 21cm. Limited edition and numbered 999 copies with certificate of authenticity. Resin statue sculpted by Dark Horse. Hand painted resin statue: Daisy Duck. Packaged in a special litho-printed full-color tin box with a vintage-style pin-back button and booklet. Limited edition and numbered 850 copies with certificate of authenticity. 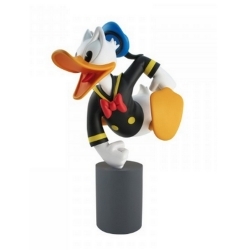 The most famous quick-temper Duck has his own statue ! 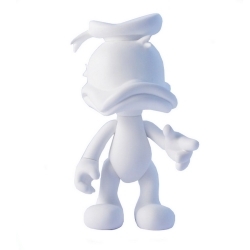 Donald Duck is available in White. Design & Conception by our artists in our workshop in France. Vinyl statue, 22cm. 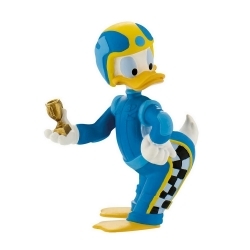 The most famous quick-temper Duck has his own statue ! 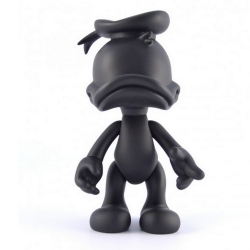 Donald Duck is available in Black. Design & Conception by our artists in our workshop in France. Vinyl statue, 22cm. Resin statue sculpted by Leblon-Delienne. Hand painted resin statue, 100% made in france. 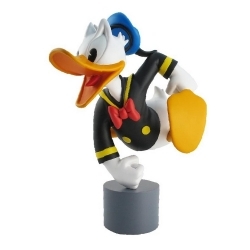 The most famous quick-temper duck has his own figurine! Design & Conception by our artists in our workshop in France. Resin statue, 36.5cm.